82 games of 2018-19 regular season has concluded and the 2nd seed Toronto Raptors will meet the 7th seed Orlando Magic in the Eastern Conference Playoff. The winner of this first round will meet the winner of Philadelphia 76ers vs Brooklyn Nets matchup. It is a good matchup for the Raptors who will avoid meeting #1 seed Milwaukee Bucks and #4 seed Boston Celtics until the Eastern Conference Finals if they advance there. They are expected to provide the toughest challenge in the Eastern Conference, although the deep and talented Celtics roster has had some chemistry issues. Orlando is solid defensively. They're 22-9 over their last 31. They have multiple (& versatile) bigs. And they've got solid perimeter shooters in the likes of Ross, Fournier and Augustin. Toronton should win the series (they better!) but don't sleep on the Magic. Jeremy Lin played his first 51 games for Atlanta Hawks and played the 23 games with Toronto Raptors. What can we expect from Jeremy Lin’s role to help Toronto Raptors in the playoff? The Raptors are very stacked with Kahwi Leonard, Pascal Siakam, Marc Gasol, Danny Green, and Kyle Lowry to be the central part of the offense. With Lin finding problem to be comfortable in the Raptors system in 23 games and possibly experiencing some health issues towards the end of the season after coming back of major career-threatening patellar tendon tear injury as he indicated in his Instagram post, Lin fans would need to temper the expectations. 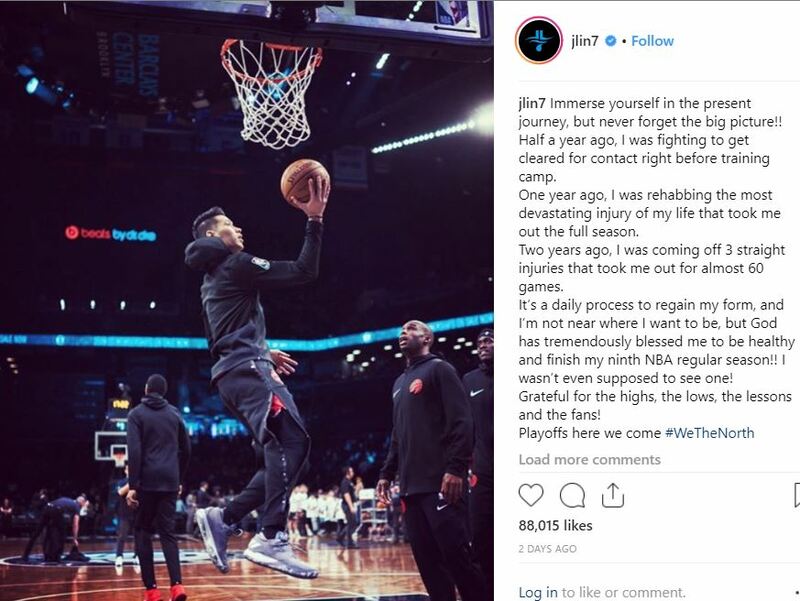 @JLin7 IG: …..Grateful for the highs, the lows, the lessons and the fans! There are a few factors to consider in regards to Lin’s role and contribution in the Raptors playoff games. Based on Coach Nurse’s assessment of Lin after Game 82, we can determine what he expects Lin to contribute. He likes Lin to be aggressive, making tough layups but he needs to works to refine the release his 3-point shots, limit the mistakes, and go all out on defense due to the short stint being out there. This could very well be a recipe to get more minutes in playoff. Reporter: Jeremy has always talking about trying to make the right read trying to make the right decision what do you think about his play today and what do you expect from them going forward ? Coach Nurse, “well we’re trying to . – you know that when I got him here we’re trying to get him to be aggressive and you saw him tonight he was pretty aggressive. – didn’t look like his release on his three ball was was quite where it needed to be tonight he took some good looks and good you know made the right decision and take and those his none of them seemed to come off with with you know the straightness really that they need to have a chance to go in. With the news that Anunoby (20 minutes/game) is out due to appendectomy (no timeline, at least 2 weeks) and possibly miss the first round Patrick McCaw (13.7 minutes/game) is out another week based on initial timeline ( sprained right thumb), there is a chance that Lin’s playing time (16.4 minutes/game in the last 10 games) might slightly increase for the 2nd unit if he plays well. Kyle Lowry’s back and Lin’s overall health have not been good either so nothing is certain here. The Raptors just need to try their best to not burn out players by playing excessive minutes. We should expect the minutes for the 2nd unit team to slightly decrease from the regular season average to the playoff against tougher opponents. Appendectomies vary pretty widely in recovery time and we don't have the details to judge. Would think OG misses the first round, though. Patrick McCaw still at least a week away based on the *initial* timeline, FWIW. 3. 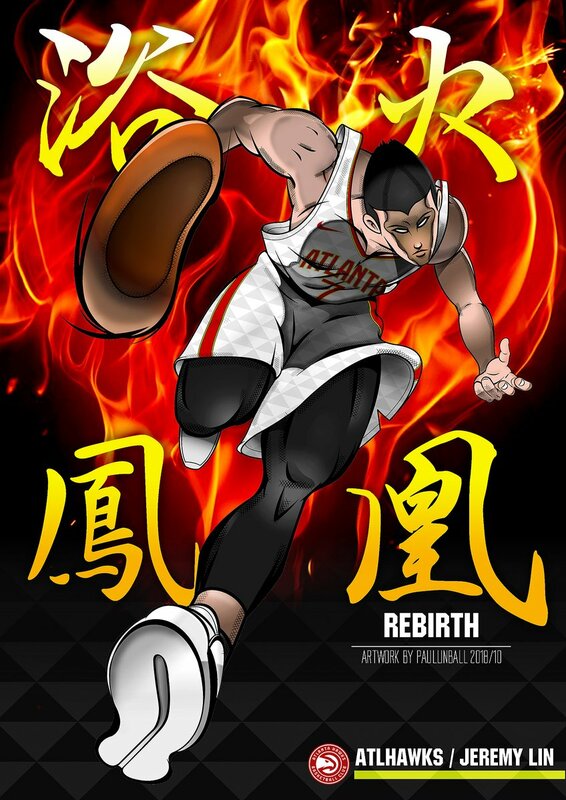 Will Master Lo Help Lin’s Health for the Playoff?